Some will claim I’m still an idiot, but this discussions proves that I was even more of a moron 25 years ago. I rewatched Money a while back and felt quite disappointed by it. Essentially, Martin Scorsese created a two-hour beer commercial that lacked any real connection to the original film. The Eighties Eddie Felson bore no resemblance whatsoever to the Sixties one, other than the fact both looked a lot like Paul Newman. Anti-heroes weren’t allowed in mid-Eighties Reagan-era America, so everything was sunny and shallow. I was wrong about The Hustler. I can definitely state that it offers a vastly superior experience. Though not without some of its own dated elements, The Hustler generally provides a rich and rewarding drama. 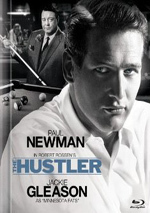 As noted, Newman plays “Fast” Eddie Felson, an exceedingly cocky pool shark. After a quick scene in which he establishes his credentials with some suckers, Eddie and his financial partner Charlie Burns (Myron McCormick) head to Ames Pool Hall in New York to challenge the best of the best, Minnesota Fats (Jackie Gleason). Although he crushes Fats for a while, Eddie doesn’t know when to quit, and he eventually leaves Ames as a beaten man. 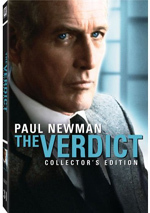 Newman wouldn’t win an Oscar until Money, but he deserved one for his supple and powerful performance as Felson. After I watched the film, I cued up the start again so I could tape the audio commentary. (I put these on cassettes and listen to them in the car.) I briefly watched a little of the opening and felt stunned to see that Felson comes across as a totally different person at each end of the film. Newman makes the transition seamlessly, and it never feels like he actively pushes the character toward something else. Instead, the progression moves effortlessly and naturally. 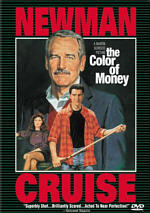 From the cocky and smug pool shark of the opening scenes to the bitter and angry “winner” of the ending, Newman covers all the bases and does so remarkably well. He also receives support from a roster of solid actors. Scott brings the right level of smarmy arrogance to Bert. A character totally devoid of merit, Scott nonetheless avoids creating a cartoon villain, and Scott brings strength and depth to the role. As the self-loathing Sarah, Laurie skips the showiness many actresses would bring to the part. She makes Sarah quietly jaded and lacks the overt bitterness one might expect. 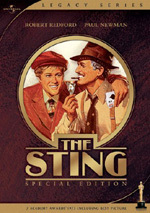 The Hustler appears in an aspect ratio of approximately 2.35:1 on this Blu-ray Disc. At almost all times, the movie looked great. Sharpness seemed strong. A few instances of minor softness occurred, but those remained infrequent and insubstantial; the vast majority of the flick appeared crisp and concise. Moiré effects and jagged edges presented slight concerns in a couple of shots, and edge haloes stayed absent. Print flaws were a non-factor, as virtually none showed up during the film. Black levels came across well. They appeared nicely deep and rich throughout the movie, and contrast was lovely. The disc provided a very satisfying black and white tone that showed no faltering. Shadow detail looked clear and appropriately opaque, with no issues related to excessive darkness. This was a gorgeous presentation worthy of an “A-“. In addition to the movie’s original monaural audio, the Blu-ray provided a DTS-HD MA 5.1 remix. The Hustler seems like an odd movie to get the multichannel treatment, and the additional channels of information add little to the experience. Some scenes offered general atmosphere – bus stations, pool halls, streets – but these weren’t particularly memorable. A few billiards scenes tossed in some minor clank and clunk in the rear speakers, and we even got some split-surround information at times. A thunderstorm became probably the showiest sequence in the movie. However, those didn’t make the movie more engrossing or interesting, and they showed up infrequently. Music attempted stereo imaging but mostly felt like broad mono; I couldn’t identify much in terms of real localization from the score. This was a modest attempt at a multichannel soundscape. Audio quality held up fine after 50 years. Speech was reasonably natural and distinct, and I heard no problems related to edginess or intelligibility. Music seemed clear and acceptably bright, while effects were clean and accurate. The track lacked much depth, but it still remained adequate for the period. This was a perfectly acceptable track given its age. How did the picture and audio of the Blu-ray compare to those of the 2007 Collector’s Edition DVD? The new 5.1 remix added some changes, but not for the better. As noted above, the DTS-HD track was perfectly fine, but I don’t think it created an upgrade; when I watch the movie in the future, I’ll stick with the original monaural. While the 2007 DVD looked very good, the Blu-ray improved on it. It seemed a bit deeper and more vibrant in terms of contrast, and it improved sharpness, as the Blu-ray was definitely better defined. The Blu-ray also lost the minor edge haloes and print defects of its predecessor. All of these factors made the Blu-ray a nice visual upgrade over the last DVD. In terms of extras, the Blu-ray repeats most of the elements from the old CE and adds some new ones. I’ll mark exclusives with special blue print. We start with an audio commentary that features a variety of participants. We hear from actors Paul Newman and Stefan Gierasch, Carol Rossen (daughter of director Robert Rossen), editor Dede Allen, assistant director Ulu Grosbard, Time Magazine critic Richard Schickel, and film historian Jeff Young. Hosted by Stuart Galbraith, this edited program uses an interview format that makes it unusual. Galbraith asks the questions, which we hear; many commentaries feature interviewers, but few become audible during the track. I know some folks don’t like this kind of commentary, but I enjoy them, and the piece for The Hustler works very well. One warning, however: the track often digresses onto topics not directly about the film. In particular, we learn a lot about the career of director Rossen and his involvement in the “red scare” of the era. Otherwise, we learn some good notes about the movie and other elements, as the commentary offers an entertaining and well-developed piece. The disc also includes Trick Shot Analysis. This shows pool expert Mike Massey as he explains the shots. What this gives us is five different clips that demonstrate how some of the movie’s trick shots were accomplished. The segments last a total of 13 minutes and 51 seconds of footage. Unfortunately, this piece seems more “show” than “tell”. Massey doesn’t really let us know how to make the shots ourselves; we watch him do it but never quite learn the secret. That makes the piece less than useful. After this we find The Hustler: The Inside Story. It lasts 24 minutes, 32 seconds as it combines scenes from the film, archival materials and interviews. In the latter category, we hear from Carol Rossen, Schickel, Grosbard, Massey, actor Jerry Orbach, pocket billiards historian Charles J. Ursitti, and Willie’s Game author Stanley Cohen. After this we get a featurette called Life in the Fast Lane: Fast Eddie Felson and the Search for Greatness. This 11-minute, 49-second piece mixes movie clips, archival materials and interviews. We hear from Newman, Allen, USC School of Cinema and Television professor Dr. Drew Casper, and actors Piper Laurie and Michael Constantine. “Lane” looks at Newman’s casting, performance, research and approach to the role as well as some thoughts about the Felson character. Next comes the 28-minute, four-second Milestones in Cinema History: The Hustler. It features Allen, Constantine, Laurie, Casper and Newman. They chat about the original novel and its adaptation, Robert Rossen’s choice to shoot in black and white and his approach to the material, locations, the atmosphere on the set, thoughts about various cast and crew, performance notes, some technical issues, editing, and reactions to the flick. Swimming with Sharks: The Art of the Hustle runs nine minutes, 38 seconds and includes remarks from Hustler Days author RA Dyer and IPT pro player Max Eberle. We get a very brief history of pool before we learn the tricks of the hustling trade as well as a little about some famous hustlers. “Sharks” offers a neat little recap of the facts behind the film. For the next program, Paul Newman: Hollywood’s Cool Hand lasts 43 minutes, 44 seconds. Part of A&E’s Biography series, it involves Newman, childhood friend James Stotter, biographer Elena Oumano, director Robert Wise, race car driver/instructor Bob Bondurant, actors Robert Redford, Tom Bosley, Katharine Ross, Eva Marie Saint, Joanne Woodward, Angela Lansbury, Susan Sarandon and Susan Blakely. We find a shorter repeat of “Trick Shot Analysis” with How to Make the Shot. This just reiterates the same material, so it becomes rather redundant. In addition to two trailers for The Hustler, we get three Blu-ray exclusives. Paul Newman at Fox goes for 27 minutes, 11 seconds and provides notes from biographer Eric Lax, USC Hugh M. Hefner Chair for the Study of American Film Rick Jewell, film historian Tom Schatz, film critic Gene Shalit, actor/script analyst Scott Klavan and UCLA film history professor Jonathan Kuntz. We get some notes about how Newman got into movies and learn a bit about his life and the films he made at Fox. This doesn’t become a broad biography, of course, but it delivers an interesting take on parts of Newman’s career. Jackie Gleason: The Big Man runs 12 minutes, four seconds and features Jewell, Schatz, literary editor/author Patrick LoBrutto, writer/actor/director Rick Podell, and writer/comedian Michael Preminger. The program offers a quick overview of Gleason’s life and career. It’s too short to offer much substance, but it’s an enjoyable appetizer. Finally, Walter Tevis: The Real Hustler lasts 18 minutes, 55 seconds and delivers remarks from LoBrutto, novelist Walter Tevis (circa 1984), son Will Tevis, daughter Julie Tevis McGory, wife Eleanora Tevis, and writer Ross Klavan. This acts as another life/career overview that delivers some basics about the author. The participation of so many family members helps, so we get a nice take on Tevis here. For this release, the disc comes in collectible book packaging. It includes a plot synopsis, cast/crew biographies, trivia and photos. The bios are especially good, and the book completes the set in a fine way. Despite my much-earlier dislike for The Hustler, I now find it to offer a pretty terrific piece of work. Buoyed by some daring storytelling and excellent acting, the film holds up well after four decades. The Blu-ray offers excellent picture quality, good audio and a terrific set of supplements. The Blu-ray becomes the definitive home video release of this classic movie.